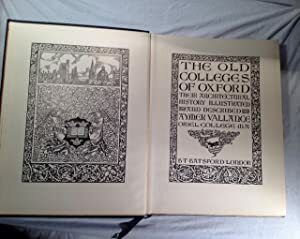 The Old Colleges of Oxford, their Architectural History illustrated and Descibed. 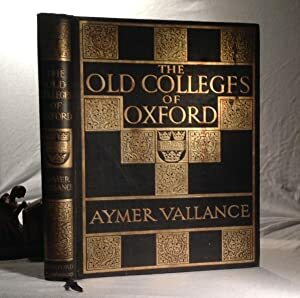 von Vallance (Aymer):: London; B T Batsford 1st edition - Staniland (Booksellers) P.B.F.A. 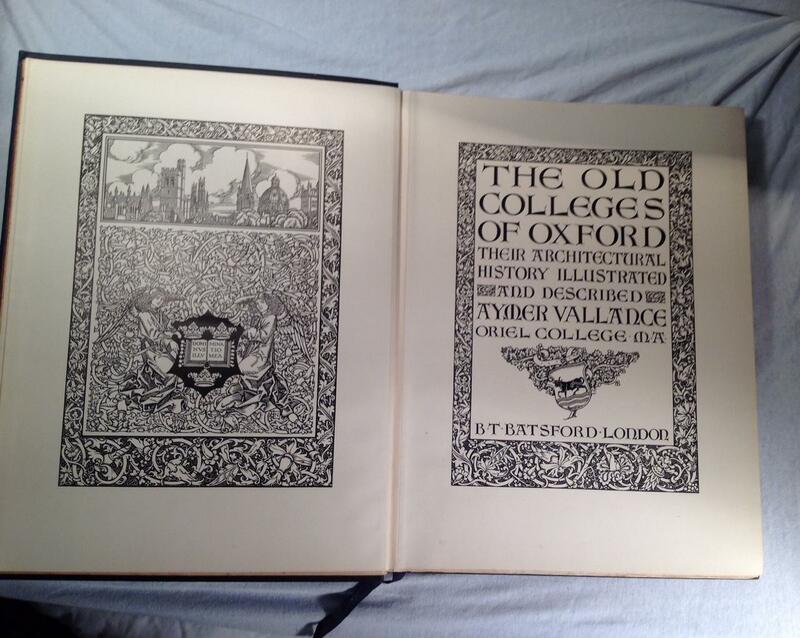 The Old Colleges of Oxford, their Architectural History illustrated and Descibed. Staniland (Booksellers) was established in 1972. We occupy a small shop in the centre of a pretty market town in England's smallest county. We have two public rooms and stock antiquarian and modern books, mostly literature, philosophy, music, history, classics, architecture, applied arts, theology and topography. 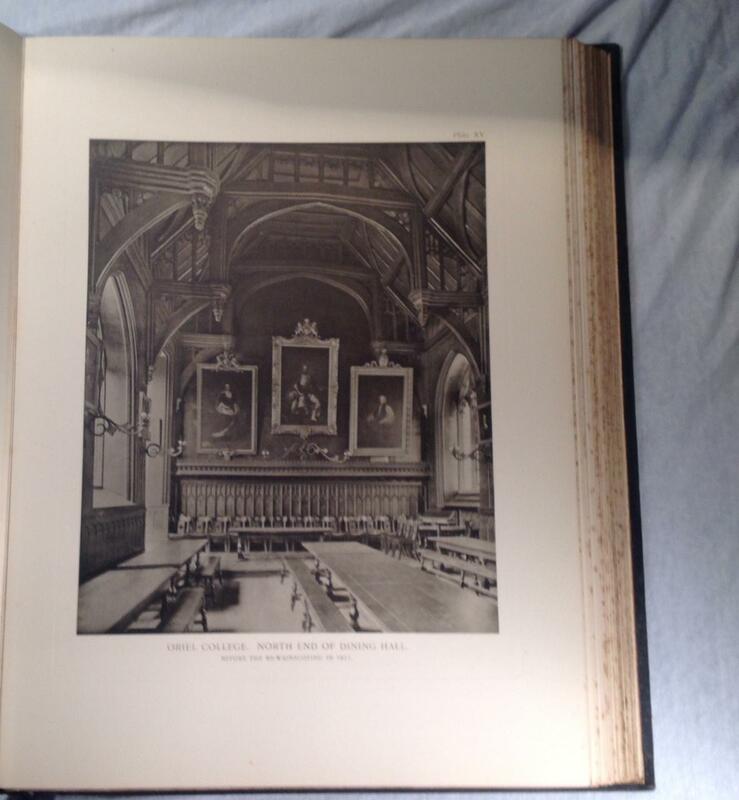 We have a good range of library sets in cloth and leather and, occasionally, fine bindings. We are members of the P.B.F.A., the largest booksellers' organisation in the U.K. The shop is usually open from 10.00 a.m. to 5.00 p.m., Wednesdays, Thursdays, Fridays and Saturdays; usually closed on Mondays and Tuesdays; appointments to view out of hours can almost always be made at a customer's convenience. Please telephone before setting out if you are travelling far as I cannot always get cover if attending an auction. We are always pleased to receive offers of books for sale. Shipping costs are based on books weighing up to 2.2 LB, or 1 KG. If your book order is much heavier or oversized, we may contact you to let you know extra shipping is required. Insurance and packaging costs are included in the cost of the book. Books sent abroad by Royal Mail surface mail, the cheapest option, often take up to 12 weeks to arrive, but rarely longer; by air mail 6-14 days. Please contact us using the 'Ask bookseller a question' feature if wanting a quotation for carriage on a set or large book.